Michigan is known for it’s unpredictable weather, summer could start a month early or a month late. But we love when it does finally arrive here in Michigan! Viscount West keeps busy all year long, offering high quality swimming pool and hot tubs, pool tables and billiards supplies and much more for your swimming pool right here in Macomb, Michigan. Our Viscount West location in Macomb offers high quality swimming pools from industry leading pool manufacturers. Premier Aluminum above ground swimming pools are built tough with the highest quality extruded aluminum. Sold here at Viscount Pools in Macomb offering round or oval shaped pools and the best swimming pool liner options, along with frame and pool wall options that fit your Michigan backyard just right. 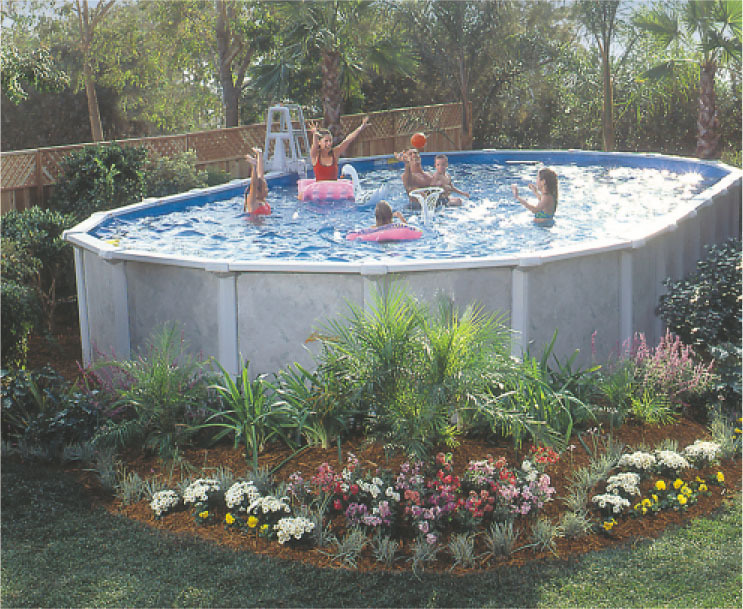 Cornelius Swimming Pools started building liners in steel wall in-ground pools in 1967 and above ground pools in 1971. Becoming a pool industry leader with innovative functional product design, materials, eye catching patters in walls and pool liners and efficient packaging. Building high quality in-ground and above ground pools in the U.S., Canada and Europe. Lomart products are all manufactured in the U.S.A. ensuring exceptional quality in their swimming pools and pool supplies. We proudly carry Lomart Pools at our Macomb location confident that the high quality, affordable pool products will exceed your expectations when picking the right pool for your style. With Aqua Sport Swimming Pools you are getting an above-ground swimming pool built with superior strength and durability. Featuring massive top rails with stylistic enhancements and Injections Molded with Virgin Polymer Resin to ensure your swimming pool last many years of Michigan summers. Viscount West has the best swimming pools in the Macomb County, servicing households that have swimming pools in Chesterfield and Romeo, MI. We offer expert advice on purchasing your new swimming pool, the pool supplies that need to go with it and the maintenance on all types of swimming pools that we carry. If your coming, all of our customer service representatives are experts in the swimming pool industry here in Michigan and can guide you through your swimming pool purchasing and pool care maintenance. You wont miss this Viscount Pools West location, If your coming from Shelby Twp. or Sterling Heights, MI you can conveniently take Van Dyke Fwy, North. We are on Hayes Rd just North of 23 Mile road in Macomb, MI. Please contact us with any questions you may have on purchasing a new pool here in Michigan or for some advice on caring for your Above Ground or Semi-Inground swimming pool.